Here is a picture of a Sapodilla Fruit in Boucan Carre, Haiti. The region is ideal for many exotic fruits and vegetables. 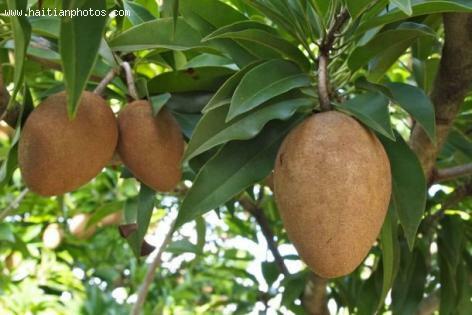 Also known as Manilkara zapota, but commonly known in the region of Boucan Carre as sapodilla. This fruit originated from southern Mexico, Central America and the Caribbean.